All those real estate websites and apps help me help my client, but buyers need to be savvy. Some sites fail to keep out the fraudsters and even if the property is properly listed, a buyer could be setting themselves up if they aren’t careful. If you request information on property showing on Zillow, Homes.com, or just about any site, the agent getting your information paid big bucks for it. Sometimes the lead will go to multiple agents. These leads are expensive and agents are going to work to make it pay off for them. Many agents have their own website and putting in your information on these sites limits your exposure. It’s probably no surprise that if you enter your contact information, you will receive follow up from an agent—perhaps multiple agents (See 1 above). Contacting an agent directly and setting up a relationship can eliminate the craziness. Sure, a good agent will put you on a contact list for follow up, holiday greetings, or whatnot. But once there is a relationship, the wise agent doesn’t make a nuisance of themselves. First off if you do get connected with the Listing Agent, you need to know that they work for the Seller. That means their loyalty and accountability is owed to the Seller and anything you disclose will be disclosed to the Seller. Many times agents will refuse to show properties without the buyer signing a Buyer’s Representation Agreement. That means you’re in a contract. Any broker or agent can show you houses listed by other brokers. Zillow and other sites will often quote a payment amount for a property showing on their site. It’s not a true representation—at least not entirely—and this is one of the reasons to get preapproved before looking for your new home. Nothing breaks my heart more than the disappointment of potential buyers when they realize they have been looking at houses outside of their price range (or mortgage payment comfort level). The second heartbreaking experience is losing out on their dream home in our fast-moving market because they don’t have the preapproval. A buyer will also have a better understanding of what their true payment looks like once they’ve spoken to a lender. And shopping for a mortgage will not affect your credit rating like a store card or car loan does. Texas is a non-disclosure state, that is, sold prices are not publicly listed. What does this mean for the buyer? In Texas, Zillow’s Zestimate is generally only correct 6% of the time. You can’t be sure you’re not paying too much for that property. Market statistics for similar houses in the neighborhood is only available through an agent with MLS access for the local board. Hiring an agent means you’ve got an experienced real estate negotiator on your side. Hiring an agent means you’re hiring market and neighborhood experience. Hiring an agent means you’re hiring transaction experience. Hiring an agent means you’ve got someone watching the deadlines and answer questions. Hiring an agent means hiring the experience that can help you avoid pitfalls. The Witte Museum is located a little north of downtown San Antonio and is adjacent to Brackenridge Park (itself an experience to be treasured). The Witte’s website has this tagline “Where Nature, Science and Culture Meet.” From my experience of The Witte, I have to say it lives up to their tagline. The newest exhibit is “My Heart is Not Blind.” Photographer and documentarian Michael Nye’s presentation on people dealing with visual impairment. This exhibit is part of their Changing Exhibit Gallery and will be at the Witte until March 31, 2019. Planet Pioneers is an inactive exhibit exploring extraterrestrial experience. Would you survive? Looks like a lot of fun. Other exhibits listed on the website (linked here) are listed below. What’s your entertainment style? The Tobin Center might just be the place for you. Below are the genres listed on their website. If you drill down into the “Music” category, the results are as diverse as a Sinatra tribute to a tribute to Michael Jackson’s Thriller. The Tobin Center is truly a wonderful place. Here is a link to their website. The Tobin Center for the Performing Arts is located downtown at 100 Auditorium Cir, San Antonio, TX 78205. The parking garage is located nearby in the triangle of 4th and Taylor Streets. Looking for an interesting tour? Try these three San Antonio area distilleries. Ranger Creek Brewing & Distilling Co. Difficult topics for a blog post, but since I promised to define them, here we go. Earnest Money is a deposit made by a real estate Buyer to show good faith in a transaction. The money is held at the title company until closing. In the San Antonio market, Earnest Money is approximately 1% of the Sales Price of the Contract. At closing, the money is returned to the Buyer. Either the amount the Buyer is required to bring to closing is reduced or the title company will pay the money to the Buyer. If the Contract is terminated, both parties must sign the Release of the Earnest Money before the title company is allowed to release the money. The party receiving the Earnest Money is determined by the termination reason. The title company may delay until they have held the funds at least 10 business days from the date of deposit. The Option Period takes the property off the market for a fee to allow for inspections of the property. The Buyer has the unrestricted right to terminate the contract so long as the termination paperwork* is sent to the Seller before the end of the Option Period. The Seller is obligated to the terms of the Contract but may be willing to renegotiate. The length of the Option Period and the cost (Option Fee) are negotiated as terms of the Contract. In the San Antonio market, the period is 5 to 10 days and the usual cost is $10 per day. The Option Fee usually returns to the Buyer at closing, but this is also negotiable. Any termination of the Contract after the Option Period results in the Buyer losing the Option Fee. *As of this writing, the end of the Option Period is set at 5:00 p.m. on the last day of Option Period by the Texas Real Estate Commission. Buying your first home can be exciting and a bit anxiety ridden. Here are a few things to know when you’re ready to start. You’ll know approximately how much house you can buy. Avoid the heartache of falling in love with a house you can’t afford! You’ll have the required preapproval letter. Listing Agents won’t even look at your offer without one! Your lender can help your agent know how much to request in closing cost assistance. Very important not to leave any money on the table by asking for too much! You may be eligible for an assistance program. You may be able to afford a home quicker than you thought! Being realistic only means being willing to make concessions. A dedicated agent understands that you will need to shop a few properties in order to prioritize your list of features into the “must have” and the “would be nice” lists. Professional Inspectors are not only trained in what to look for but also have the experience to anticipate problems with a potential property. After looking at a bunch of properties, or getting starry-eyed over that one house, it can be easy to miss details that the professional is trained to see. It’s definitely money well spent. Earnest Money: Usually about 1% of the Sales Price and will be applied towards the purchase. Option Fee: Usually about $100 depending on the length of the Option Period. This fee can be forfeited if the buyer leaves the contract before the Option Period is over, or it can be applied towards the purchase. Inspection Report: This varies by the size of the property. Plan on at least $350. Appraisal Fee: This charge comes through the buyer’s lender. Some lenders charge for it at the time of the appraisal and some make it part of the closing costs. Plan on at least $500. Specialized Professionals: Sometimes a home inspector will suggest getting an AC professional, a roofer, or some other tradesman to give an opinion. Other costs, such as for a survey, can usually be rolled up into the buyer’s closing costs. *Earnest Money, Option Fee, and Option Period will be discussed in a later blog post. 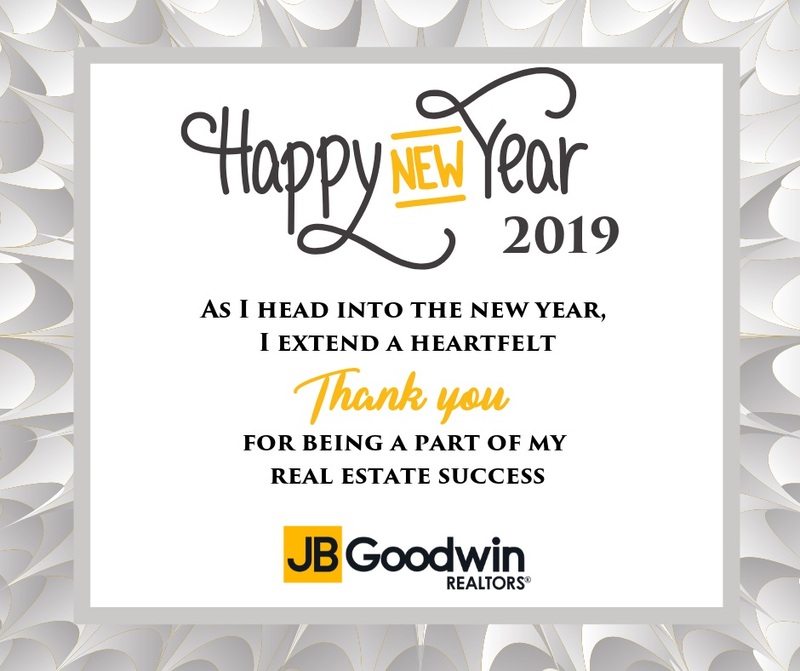 Looking to buy a new home for the New Year? I would love to help! 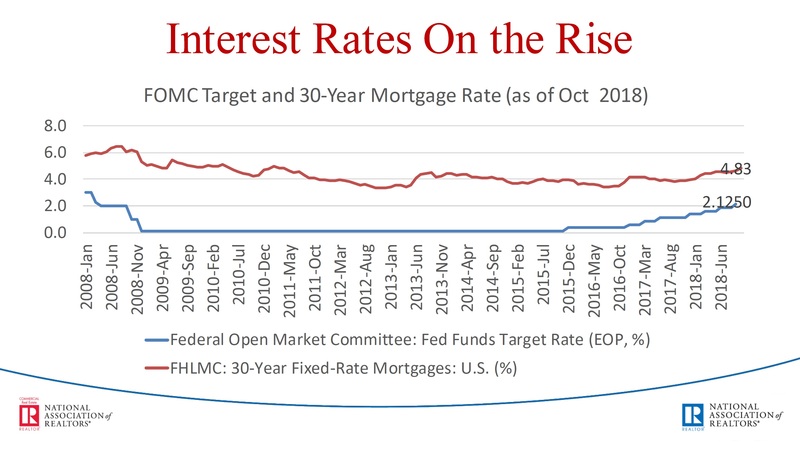 Since I initially drafted this post, the average interest rate has dropped nearly half a point. Good news abounds! 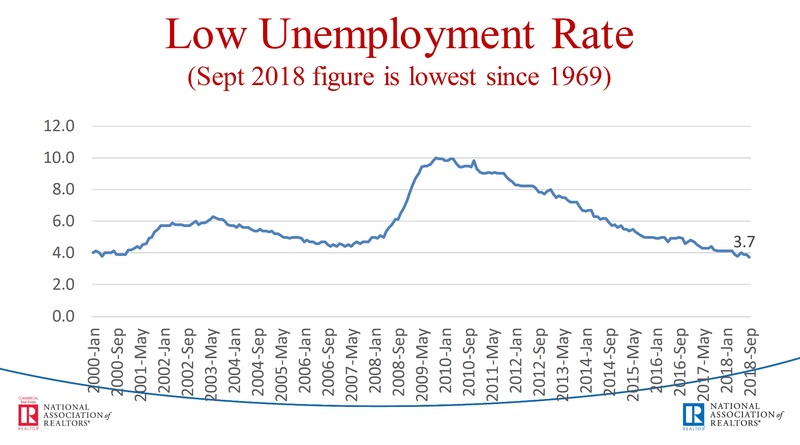 Unemployment is the lowest we’ve seen in many years. 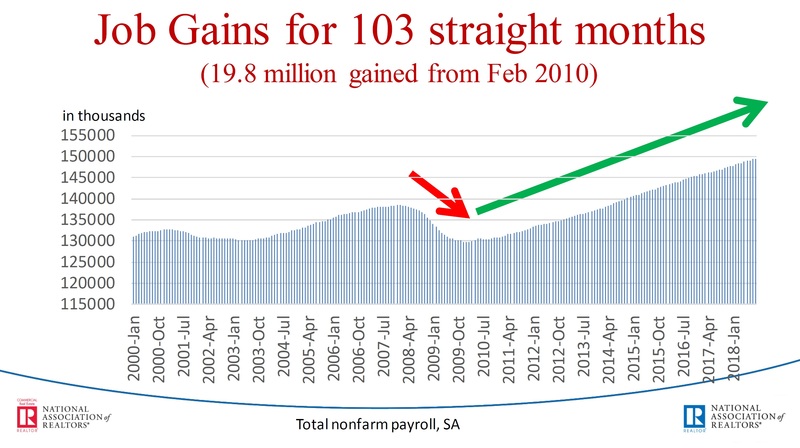 These employment figures are complemented by increased consumer confidence and business spending. Always a good thing. 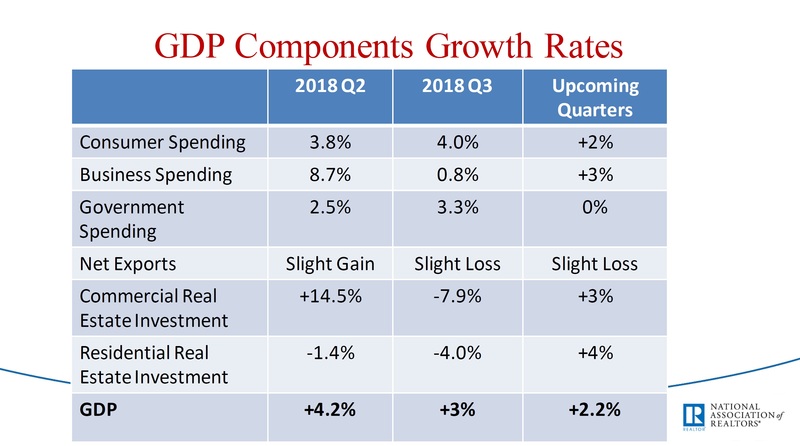 Our experience in San Antonio is a continued upward trend in home sales (4% increase YoY in November 2018) and in median home prices (5% YoY in November 2018). 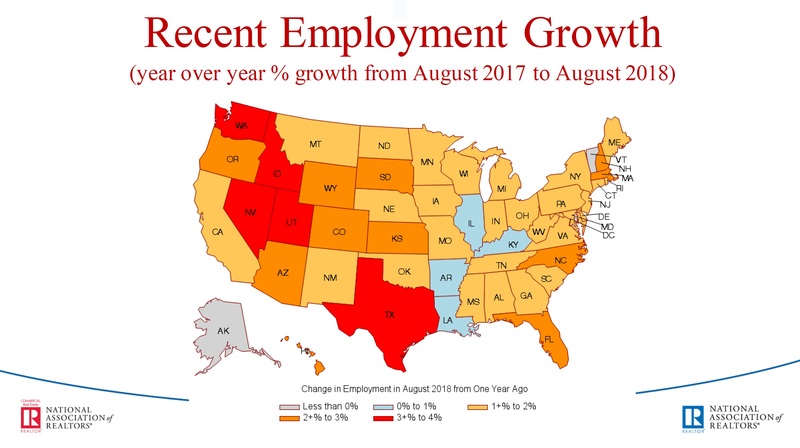 This trend is supported by the employment growth rate in Texas. Basically, the most attractive house is clean and decluttered. Clean and decluttered on the outside too. If your budget permits, painting the interior in a neutral color can sell a house quicker than almost anything, but it can be especially important if the wall colors are individualized to the Seller’s taste. If carpet or flooring needs replacing and the budget allows for it, this too can secure the top dollar at the fastest pace. If you’re working with a limited budget, work with your agent to get estimates so that you have a good sense of costs when negotiating. But the cost of some elbow grease can go a long way. Use your elbow grease to clean, sweep, mop, declutter, straighten, put away, and rake and clean up the yard. Make sure the entry is clean and attractive—maybe add some potted flowers. Many of us never use our front door and it has become netted over with cobwebs. Also, make sure the front door lock opens easily. Replace any burnt out light bulbs and make sure the covers are clean so that the light shows through. After you’ve got your house ready to sell, you’ll be in a great position to negotiate all those offers that come in. Communication. Pure and simple, that’s it: Communication. Your agent should help you make the best decisions for your circumstances in preparing to show your house at its best. Your agents should provide you with a market analysis of your neighborhood and be prepared to discuss the differences of the current and sold properties. Your agent should give you a good idea of your closing costs especially when you receive an offer. Your agent should be prepared to explain the Listing Documents and any contract terms on offers. Your agent should advise you about the pluses and minuses of offers, especially in a multiple offer scenario. Your agent should provide you with feedback from showings. Your agent should coordinate showings with you in a way that balances your life with selling your house quickly and efficiently. Your agent should use an electronic SUPRA to secure your house and know who has entered it. Your agent should be prepared to do or arrange open houses. Your agent should communicate with you regularly.